Info Award-Winning Teaching Over the past two years, a number of English faculty have been recognized for their teaching. Welcome! The Department of English Language and Literature at the University of Waterloo offers unique undergraduate and graduate programs covering the study of literature, rhetoric, professional writing, and digital media. Our professors have national and international reputations in these areas, and we boast many awards for teaching. ​Graduates of our B.A. and M.A. programs find successful careers in industry, law, government, teaching, medicine, communication design, and entrepreneurship, often getting their start with our co-op program; they also go on to advanced studies in English. Graduates of our PhD program hold academic and non-academic positions in Canada and across the world. Whether you want to explore literature, digital media, political discourse, or technical communication, our diverse undergraduate degrees and programs allow you to pursue your interests. You have a wide variety of degree options, and with our integrated co-op option, you can combine study and work experience. We offer MAs in Literary Studies, Rhetoric and Communication Design, and Experimental Digital Media. Our PhD offers a unique integration of literary studies with such fields as rhetoric, new media, and discourse analysis. Our degrees will prepare you for work in and beyond the academy. Our department features internationally known scholars who conduct research in a variety of fields, including literary studies, digital media, and rhetoric and professional communication. The department is also affiliated with a number of research bodies, including the Critical Media Lab, the Games Institute, First Person Scholar, the Waterloo Directory of Victorian Periodicals, and the Canadian Journal of Disability Studies. Teaching is central to our department, and our faculty and graduate students include many award-winning instructors. Class sizes in the department are small, and your professors are dedicated, dynamic instructors who will give you the academic tools you need to follow your intellectual passions and the individual attention you need to grow as a scholar. To find out more about our department, follow any of the links above or in the main menu. Our faculty and staff are also happy to talk with you via email, over the phone, or in person to answer any questions you might have. Contact our undergraduate administrator, Jenny Conroy, or our undergraduate chair, Victoria Lamont. The English undergraduate office is located in Hagey Hall room 251. Contact our graduate administrator, Tina Davidson, or our graduate chair, Marcel O'Gorman. The English graduate office is located in Hagey Hall room 250. Event notices, general department news, and English-related links from both within and outside the department. News and events for graduate students and faculty, English-related job advertisements, and calls for papers and articles. Words in Place (our department blog): a wide variety of articles on people and events in the department, including interviews with undergraduate and graduate students. Videos of department events and student projects. Our Department Newsletter: a periodic summary of what's been happening with faculty and students in English Language and Literature. 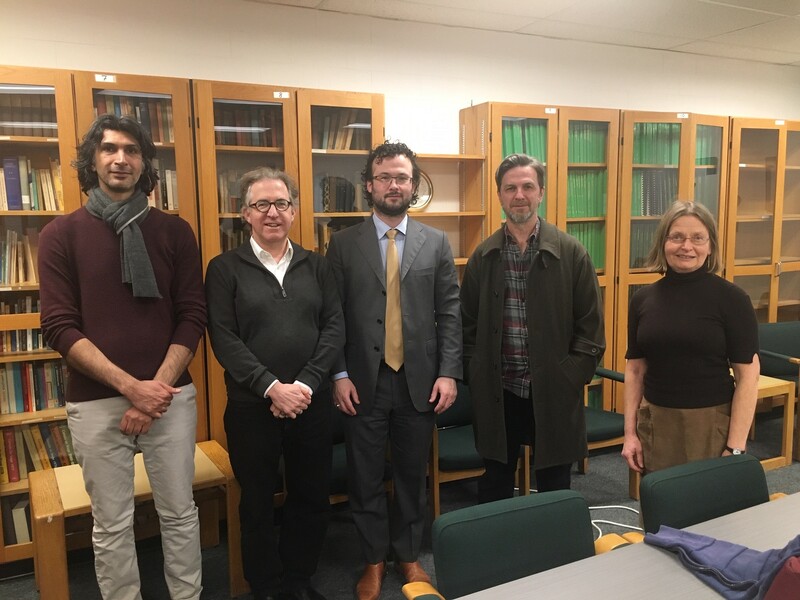 Words in Place: Congratulations Dr. Morteza Dehghani! Congratulations to UWaterloo English’s newest PhD, Dr. Morteza Dehghani. On April 3, Morteza successfully defended “In Works of Hands or of the Wits of Men”: The Elegies of Wim Wenders, Laurie Anderson and Alexander Sokurov. Words in Place: Congratulations Dr. Amna Haider! Words in Place: Congratulations Dr. Clare Bermingham! Waterloo’s Writing and Communication Centre is currently accepting applications for Dissertation Boot Camp. This online program, which is designed to help dissertation and thesis writers to get a jump start on their writing goals, runs Monday, April 15th to Thursday, April 19th from 9am to 4pm each day. Dr. Reisa Klein is a Visiting Scholar in the Department of Modern Languages and Cultural Studies at the University of Alberta. Dr. Klein’s current project examines the emergent digital cultures of breast cancer survivors who use mastectomy tattoos in response to post-operative surgery and implications for the mobilization of a transnational and intersectional feminist politics and gendered and race-based health activism. 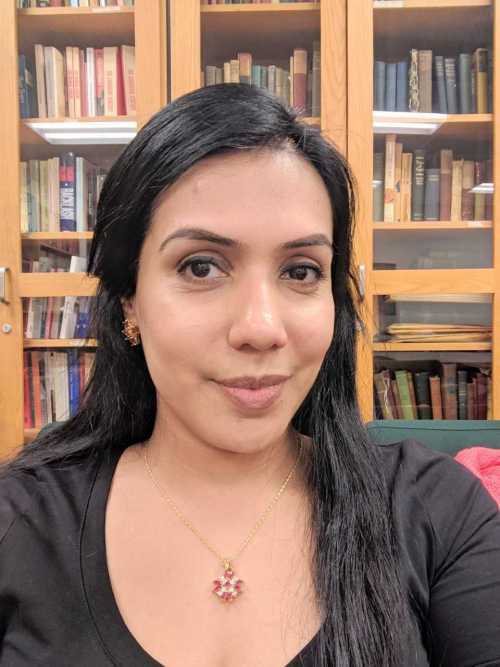 In addition, she is co-editing a special issue of Imaginations: Journal of Cross-Cultural Image Studies on "Reimaging Breasts" slated for publication in Fall 2019. 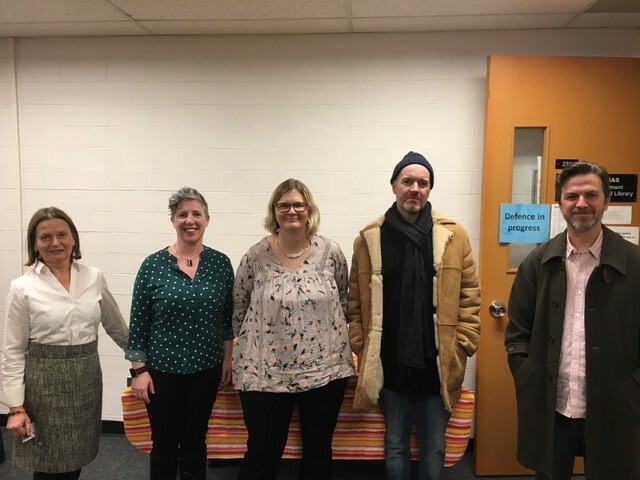 May 6, 2019PhD thesis defence: Patricia Ofili, "Contextual Complexities and Nelson Mandela’s Braided Rhetoric"